The article quotes NTEU President Tony Reardon…. On the anniversary of the Charlottesville violence, the same racist/nationalist group that perpetrated the Charlottesville violence will rally in DC near the White House. The rally, scheduled for Saturday and Sunday, August 11 & 12, could impact federal employees on Thursday, Friday, and Monday as rally participants arrive in DC. NTEU Chapter 280, in an email to management today…. If you saw the story we posted yesterday, you know that EPA planned to shut off the water to EPA's Potomac Yard building for half a day for nearly 1000 employees. No drinking water, no toilets, no sprinkler system to suppress fires, and no sinks to clean up dirty dishes. EPA was refusing to close the building and place employees without telework agreements on administrative leave, something they're required to do. The EPA Inspector General investigates fraud, waste, and abuse, and defines "waste" as "extravagant, careless or needless expenditure of government funds, or the consumption of government property that results from deficient practices, systems, controls or decisions." The Office of Chief Financial Officer's roll-out of the latest PeoplePlus "upgrade" certainly qualifies. This new system caused thousands of wasted employee hours to accomplish what was previously being done in only a few minutes. Cookies & Cream & a Big Thank You for Our Work! A coalition of 54 environmental and civic groups as well as several unions, including NTEU, assembled outside EPA headquarters today to let EPA employees know that they support their efforts, and decry recent attacks on science, federal employees, and the environment. As a really nice thank-you, they also passed out tasty cookies and delicious Ben and Jerry's ice cream. Yum! NTEU, AFGE, and EPA’s Headquarters' Employee Counseling and Assistance Program (ECAP) are sponsoring a second "Alternative Methods to Reducing Stress," a free seminar in Observance of Stress Awareness Month, this one in EPA's Potomac Yard offices. Time: 12:15 - 2:00 p.m.
You do not need to take leave to attend, or make up the time at the end of the day for this seminar when combined with your lunch period. We recommend, however, that you inform your supervisor you will be away for the entire time. If your supervisor has any questions about the authority to allow attendance for the entire time, show her/him this article or suggest s/he contact Krysti Corbett in EPA's Labor & Employee Relations, the advisers to management. For more information, please contact Wayne White, at 202-564-7914 or send an email to white.wayned@epa.gov. Stressed About Everything That's Going On? 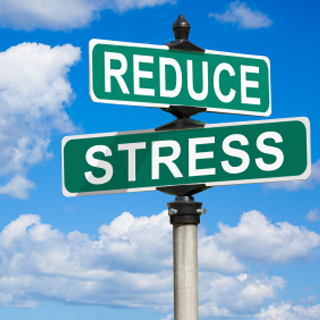 NTEU, AFGE, and EPA’s Headquarters' Employee Counseling and Assistance Program (ECAP) are sponsoring "Alternative Methods to Reducing Stress," a free seminar in Observance of Stress Awareness Month. With your 30 minute lunch period, management approved an additional 60 minutes for the seminar. Therefore, you do not need to take leave to attend or make up the time at the end of the day. We recommend, however, that you inform your supervisor you will be away for the entire 90 minutes. If s/he has any questions about the authority, show her/him this article or suggest s/he contact Krysti Corbett in EPA's Labor & Employee Relations, the advisers to management. Report threats to report.EPA.threats@epa.gov or call 888-546-8740. In immediate danger? Dial 911. Ever get a threatening phone call, email, or get threatened in-person? The Office of Inspector General set up an email address to report threats. If you or your colleagues are in immediate danger, call 911. If there's no immediate danger, report the threat to report.EPA.threats@epa.gov. Messages sent to the email address will be automatically forwarded to EPA Office of Inspector General's Office of Investigations supervisors, the National Threat Coordinator and the Office of Inspector General Hotline. This will ensure that the appropriate investigative takes place, even after hours and on weekends, if necessary. If the threat comes by snail mail, make sure you preserve the letter in the condition you received it so that the OIG can examine it for fingerprints. If the threat came by voicemail, please save the voicemail so that the voice can be analyzed. If the threat came by carrier pigeon, save the pigeon. You get the idea: preserve the evidence. You can also always call the IG at 888-546-8740.